NCCF is delighted to report another successful year of the Chairman’s Challenge, our grassroots campaign to boost community grantmaking across the state. The November campaign brought in nearly $350,000, according to Beth Jenkins, NCCF vice president for development. “This year’s campaign once again produced solid results,” she said. The sum has been proportionately divided among participating affiliates’ local grantmaking endowments. Nearly $226,000 was received in donations to affiliates, with a generous match provided by First Citizens Bank and several anonymous donors. Nearly 1,000 individual gifts were received from people who wanted to support their local affiliates. The campaign is largely conducted through local letters personalized by affiliate advisory board members to their friends and neighbors. Many boards literally sit around a table and write personal notes to the recipients they know, Jenkins said. “People respond to local giving when the ‘ask’ is from the heart and for a great cause,” she added. The Foundation also augments the localized letters with an e-blast that provides an online giving option. The number of online giving gifts increases every year, according to tracked metrics. 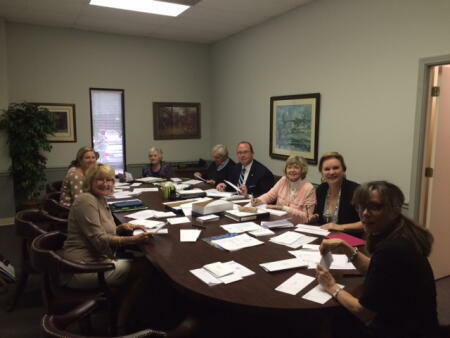 The Onslow Caring Communities Foundation once again garnered the largest sum (and for the third year in a row!). The Yadkin County Community Foundation and Catawba Valley Community Foundation were second and third respectively, in the amount of money earned. The Clay County Community Foundation topped the list for the largest number of gifts (86).